The award-winning band Ameranouche will perform at the Village Coffeehouse at 7:30 p.m., Saturday, June 2. 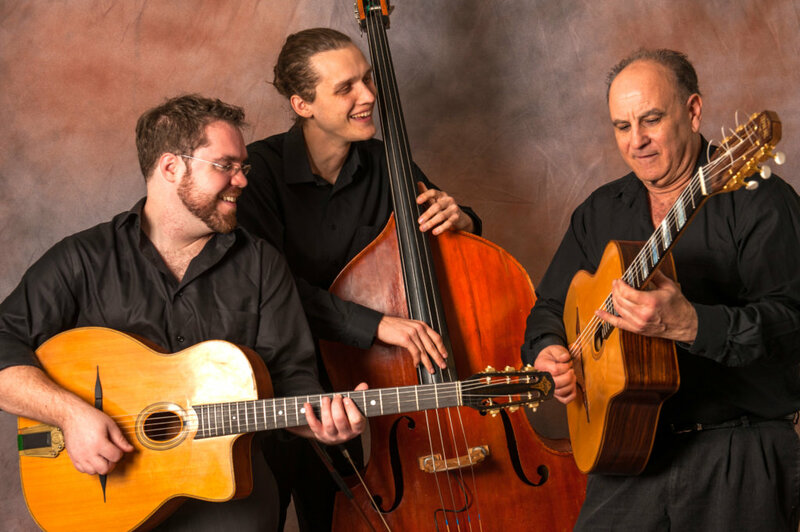 The band plays a passionate style of music they call “Gypsy Flamenco Swing.” The rip-roaring ensemble is a super force of hot acoustic Gypsy inspired music mixing flamenco, bebop and jazz swing influences. Played on traditional French jazz guitars, the music is rhythmic, vigorous and elegant. Whether they’re playing a musette waltz from 1930 or an Andalusian inspired original tune, Ameranouche’s Gypsy Flamenco Swing style is a fresh and highly enjoyable new sound for the 21st century. Tickets are $10.